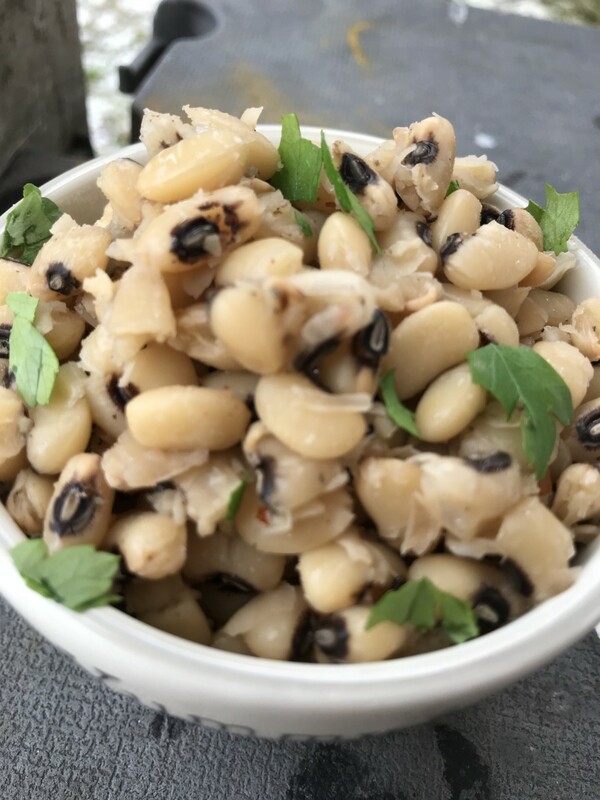 Black eyed peas are a traditional Southern comfort food. 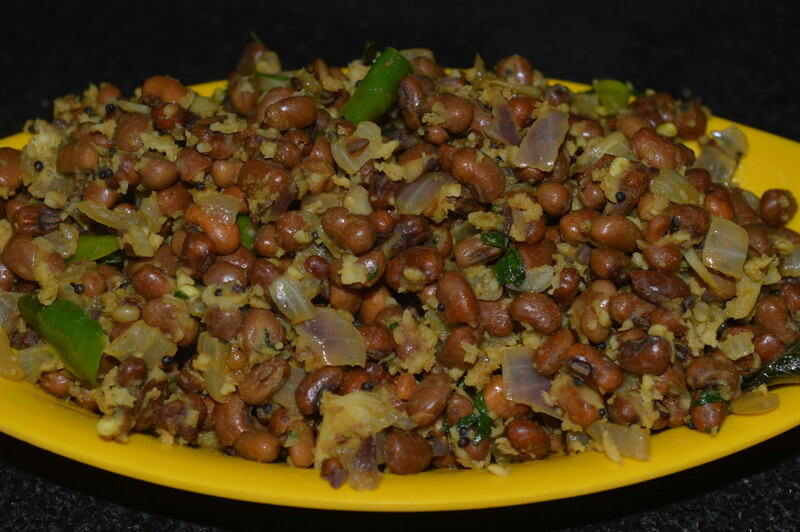 They are milder than many other types of beans, and they are easily done with just a few ingredients. One of my earliest memories is of my mother on New Year's Day. I couldn't have been more than four or five years old because I also remember my brother as a baby. Mom was making black-eyed peas and mashing a few for my brother. "It's for good luck," she was saying. And I've had black-eyed peas on New Year's Day every year of my life. We're Southern, which means we eat them all year, even though the tradition is fun. 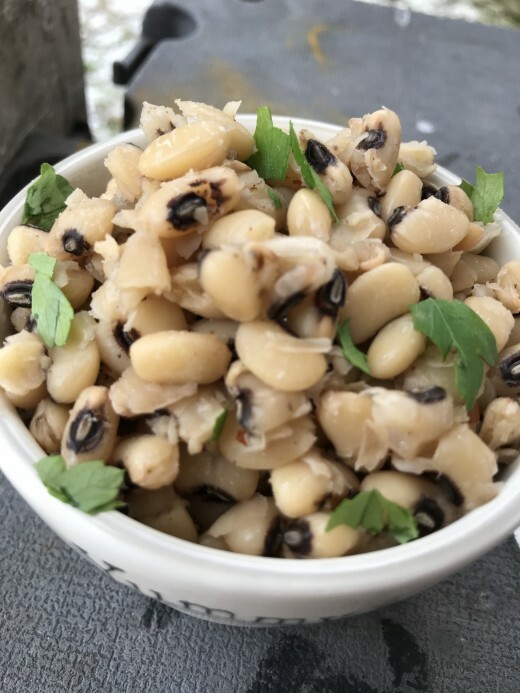 Black-eyed peas signify luck when eaten on the New Year, but the flavor is fabulous and mild, so don't save them for the holiday. Traditionally they are served hot with hot sauce, cornbread, and collard or turnip greens. I love using them in mixed bean salads and salsas as well. They are loaded with fiber and nutrients, trace minerals vitamins, so I throw them in all kinds of things. Best of all, they are super inexpensive. Most groceries in my area sell a pound of dried beans for $1 or less, and my favorite discount outlet has them as low as $.79 most of the time. So this recipe can come in for under .25 a serving. That's rockstar in my book. 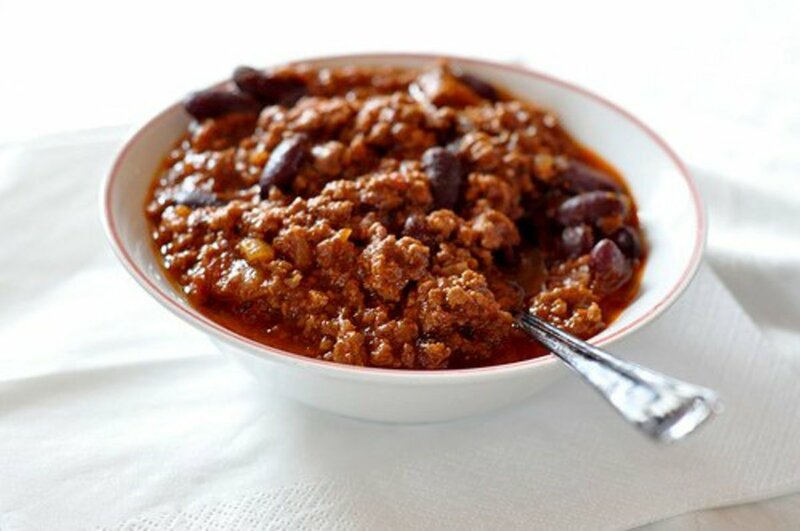 Give this simple recipe a shot - you'll be hooked on how easy it is to make this rich, comforting favorite Southern dish! Place black-eyed peas in a medium saucepan, and cover with four cups of water. 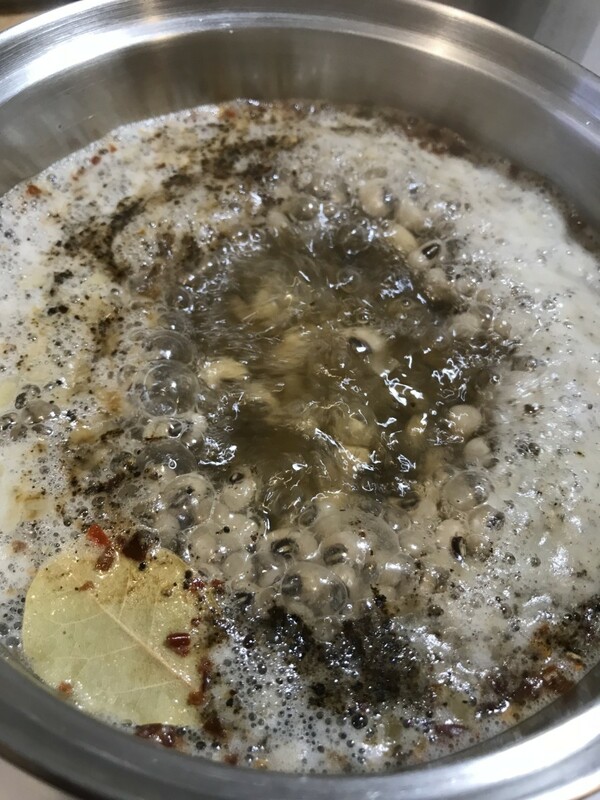 You can also use chicken or ham broth, and those are both great, but I love the mild flavor of black-eyed peas, and mostly use just water. Add salt, bay leaf, red pepper flakes, garlic powder, bacon drippings and black pepper. 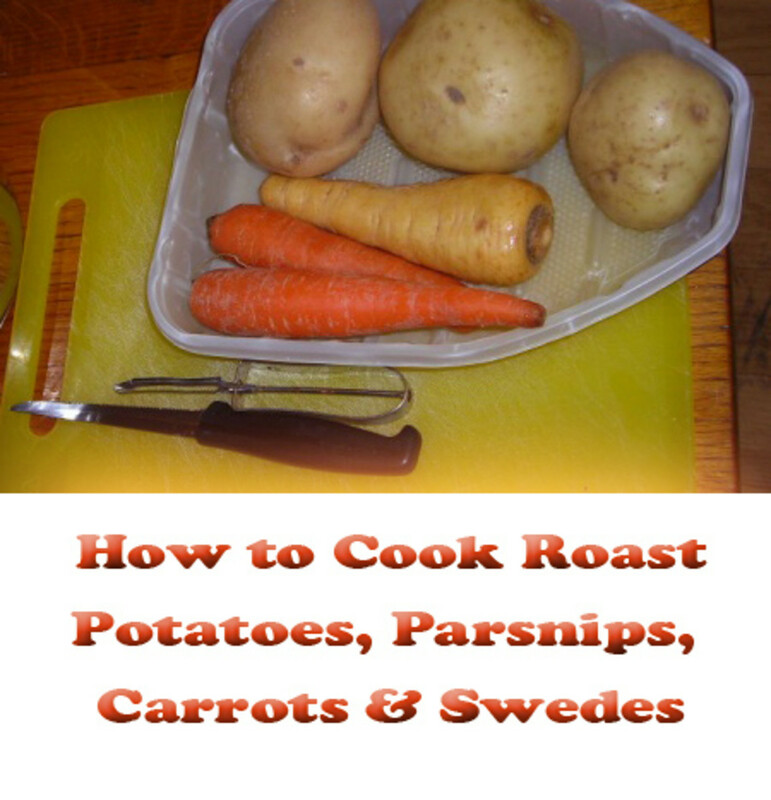 Bring to a boil, reduce to a simmer and simmer for about an hour to an hour and a half. Taste and adjust for seasonings. You may want a bit more salt or cayenne, or you can serve the black eyed peas with a little green onion or hot sauce. 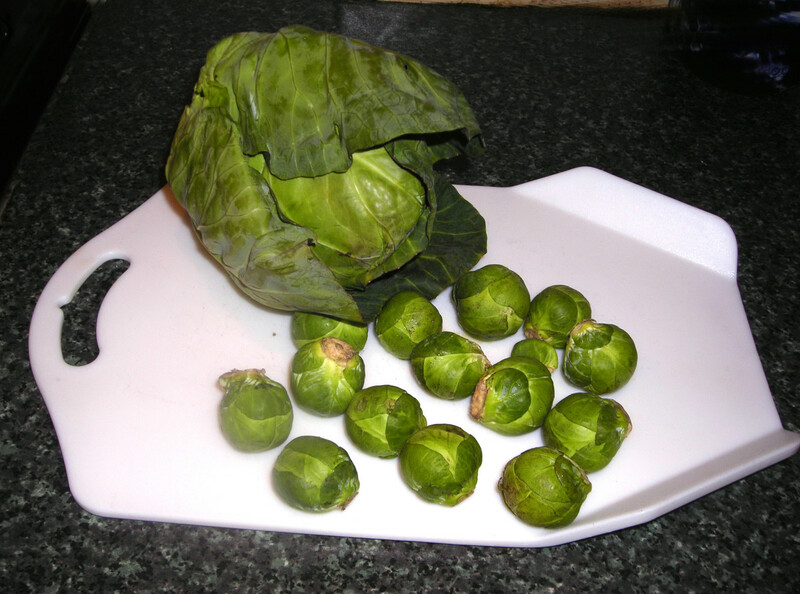 You can also use them cold in salads - I love that! Why the Difference in Cooking Time? 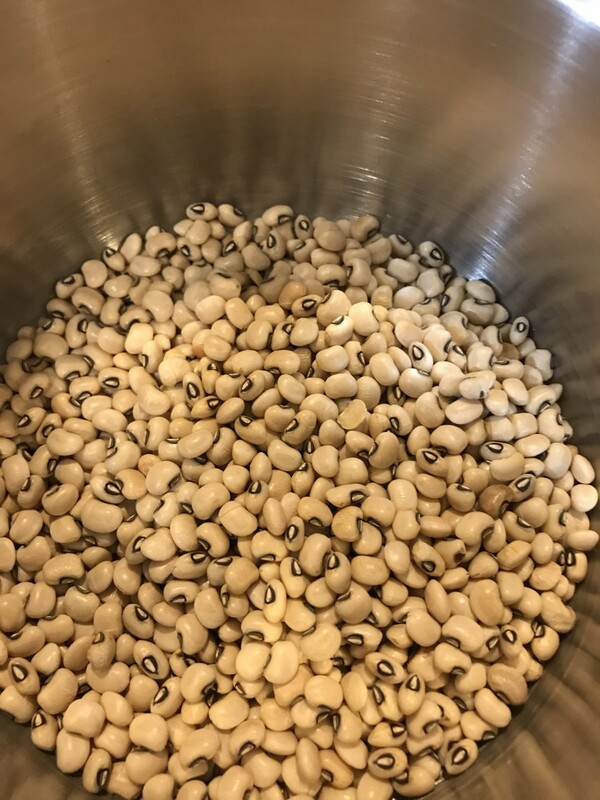 Most of the time black-eyed peas take about an hour, but that really depends on how dry the dried beans are. 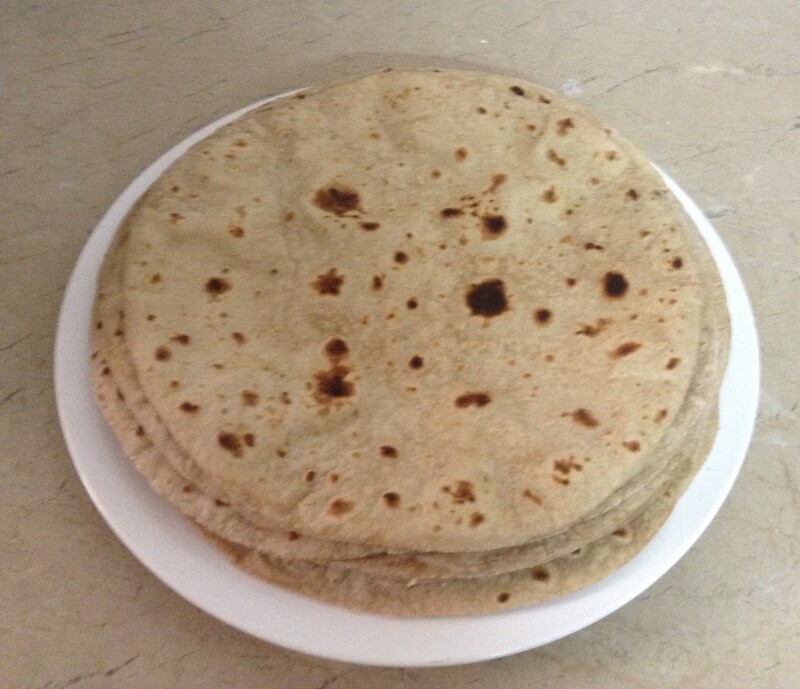 If they are relatively fresh, they can take as little as 45 minutes. 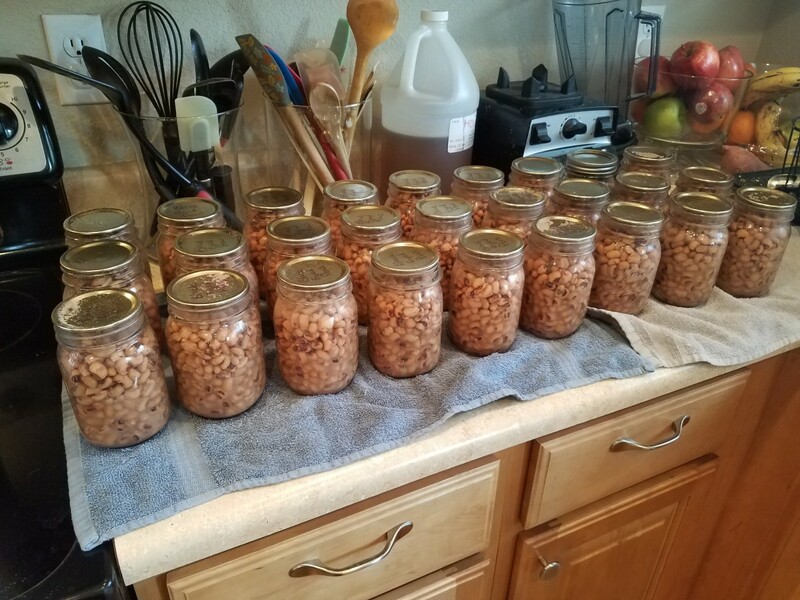 The longer the beans sit in storage the drier they become, and the longer they take to become fully tender. I've had batches that took almost two hours, but as a general rule of thumb, 1 to 1 1/2 hours will do the trick. The same principle applies to most dried beans. 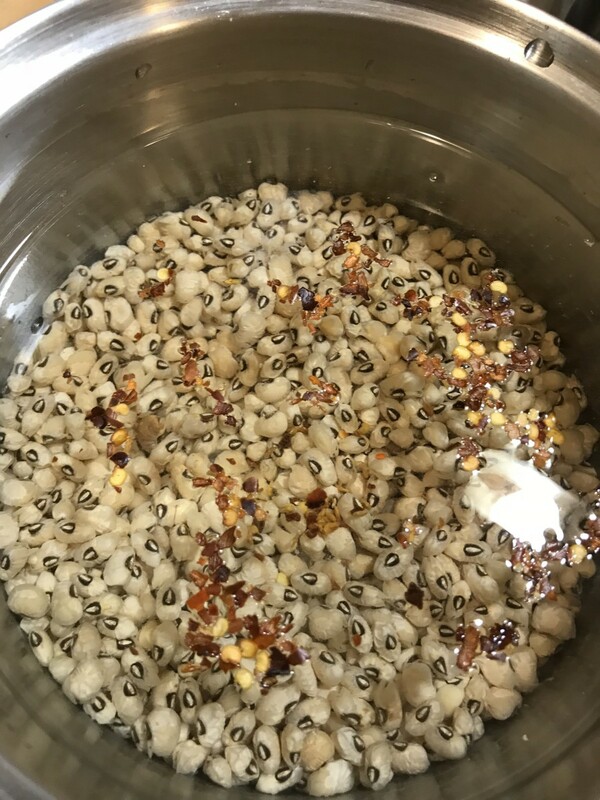 Pick through the dried black eyed peas before cooking. You're looking for little rocks or pebbles. You won't find them often, but it sometimes happens. You'll sure know it if you bite into one - so give it a quick look before cooking. 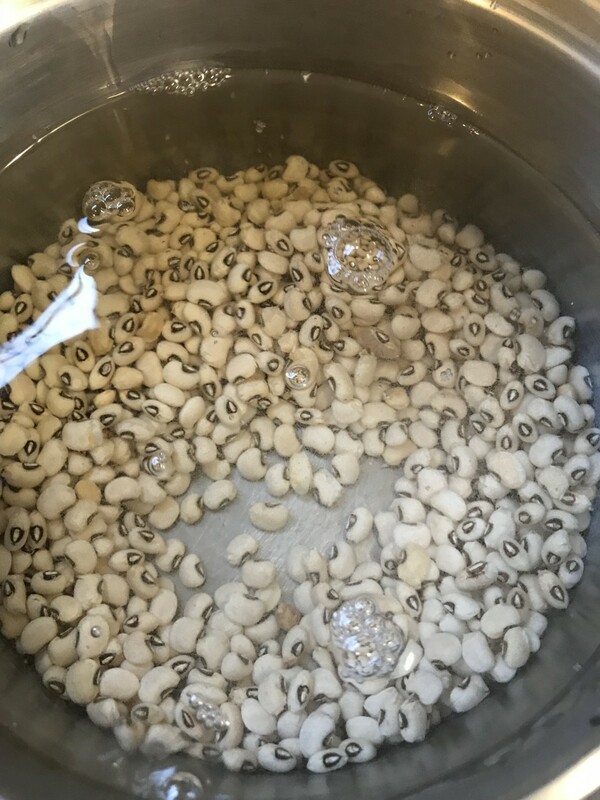 Add water or broth - black eyed peas in general take about four times the amount of liquid to the amount of peas. So for this recipe use four cups of water or broth. Add the salt and red pepper flakes. Black eyed peas are nice and mild - although distinctive - in flavor. 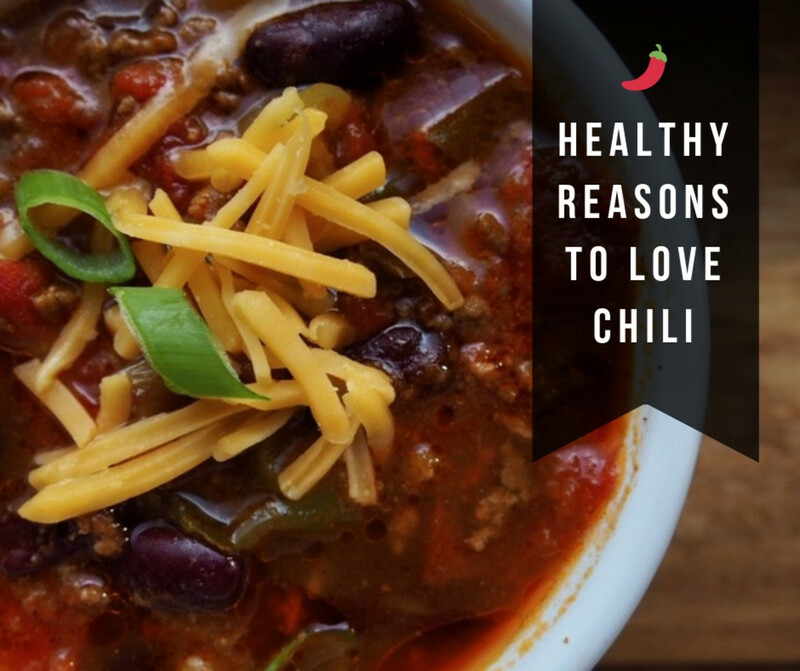 You can add more red pepper or a hit of cayenne if you like. I tend to serve kiddos, so I keep the heat level low. Add the remaining seasonings and bring to a simmer. You can skip the bacon drippings to have a vegan version, but you'll need to increase the salt and pepper, and maybe add a drop of liquid smoke. The bacon grease is the traditional method. 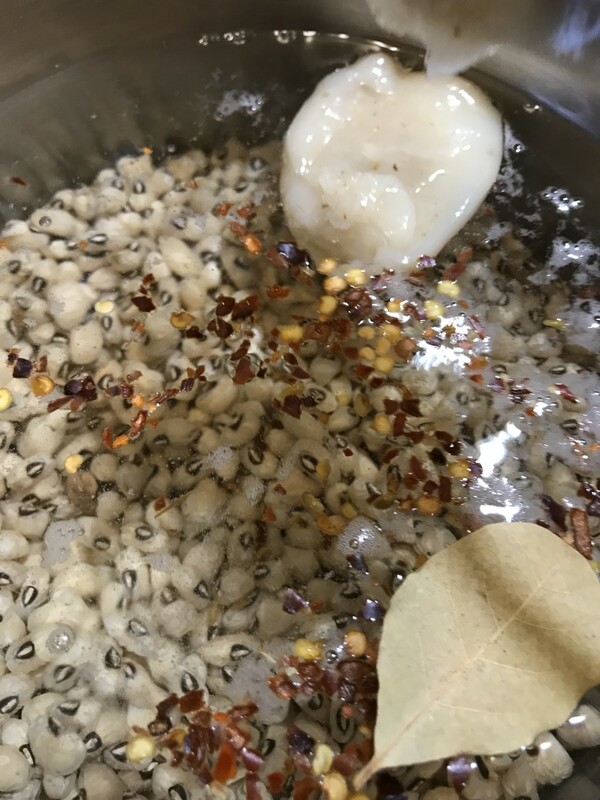 A nice gentle simmer is all the black eyed peas need. I stick mine on the back of the stove and just let them go on their own while I do something else. 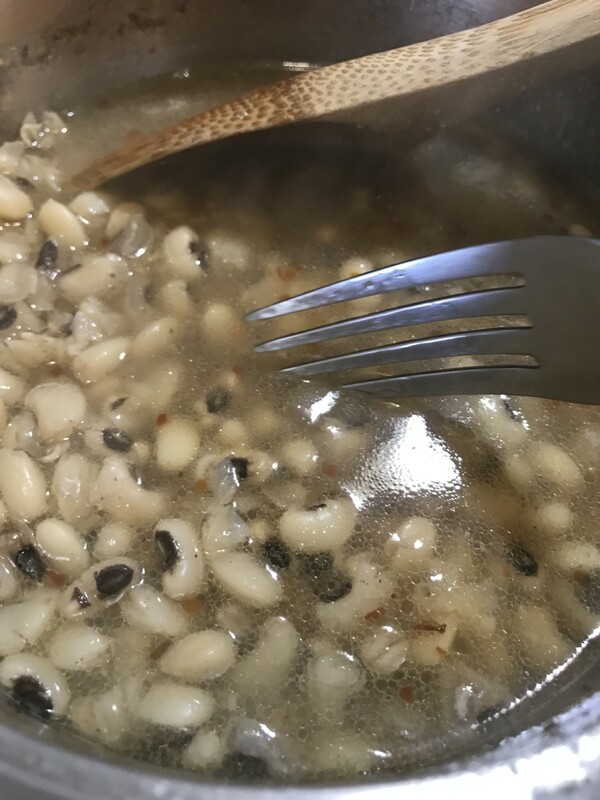 Taste a couple of the black eyed peas after an hour of cooking time. This lets you know how close they are to being done. They should be very tender, but not mushy. This also lets you adjust for seasoning. Black eyed peas are wonderful all by themselves - hot and served with cornbread and collard greens. That's a perfect meal. You can also use them cold in salad, which is equally delicious! Mickji - let me see what I can do. The video is broken, do you have another one please?